Lack of exercise has been touted to be as dangerous to our health as smoking. Specifically, adequate physical activity will help you to better manage stress, stimulate circulation (esp. of the lymphatic system), and aid in the prevention of many diseases (including cardiovascular disease, some cancers, diabetes, even some cognitive disorders). Increased physical activity can correct various sleep disturbances (or disorders), as well as, enhance mood due to exercise’s ability to stimulate various brain chemicals. Furthermore, exercise is an essential component to weight loss and weight management. Exercise is probably best know for its beneficial effects to the cardiovascular system. It strengthens the heart, the skeletal muscles (movement muscles), and the blood vessels. It stimulates oxygen carrying red blood cells to grow in size and number, initiating a boost to your energy levels. These oxygen carrying red blood cells are not only needed to transport more blood to the body, but will help the body to efficiently remove waste (carbon dioxide) away from the body. Another important feature of exercise is its ability to cause a growth in the number of small blood vessels (arterioles and capillaries) that supply the skeletal muscles. Regular physical activity is known to help with high blood pressure. Your cholesterol will benefit, too. Regular physical activity boosts high-density lipoprotein (HDL), or “good,” cholesterol while decreasing triglycerides. This one-two punch keeps your blood flowing smoothly by lowering the buildup of plaques in your arteries. Heart disease is associated with inflammation in the body. Exercise is a natural inflammation fighter. When you move, your muscles send out anti-inflammatory chemicals. A person who exercises vigorously and regularly has lower levels of circulating stress-related hormones and an increase in the production of your brain’s feel-good neurotransmitters, called endorphin’s. Physical activity can lower the symptoms associated with mild depression and anxiety, improve your sleep, and ease your stress levels. A decrease in stress will greatly improve your sense of well being. Regular physical activity can help prevent type 2 diabetes as exercise increases glucose uptake by the muscles (lowering insulin levels). The higher the intensity, the greater the reliance of glucose needed for muscular activity. This results in improved insulin action and improved blood glucose control. Endurance exercise increases muscle strength and stamina, while resistance exercise will enlarge the muscles and strengthen bones. It is a good idea to combine both endurance and resistance exercises. 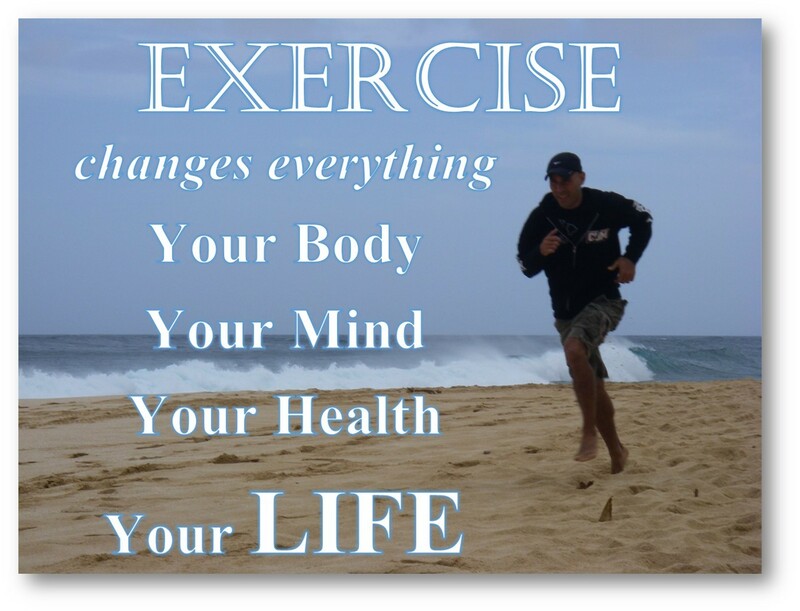 The benefits of exercise cannot be overstated. These are just a few of the myriad of potential benefits. However, although physical activity is perfectly safe for most people, sometimes it’s important to get a doctor’s OK before you exercise. But don’t let this stop you from getting off the couch and starting!